This amazing article was written by Nicole, a holistic nutritionist with a strong belief that it is possible for everyone to discover how good their body is designed to feel. Nicole works in partnership with her clients to achieve a lifestyle that is both balanced, fulfilling and nourishing. Go check out her fantastic blog with healthy recipes, or follow her on Facebook! Our kidneys are about the size of a fist, and are the shape of a kidney bean! These little guys are apart of the urinary system but they also have a role in managing blood pressure due to their regulation of sodium levels. Our kidneys work hard to remove waste from our bodies. Excreted waste can be from the breakdown of active muscles (creatinine) and also from the foods we eat. Our kidneys also keep the body’s sodium, phosphorus and potassium in balance. Our kidneys also help to maintain the bodies’ water balance. ‘Renal Function’ is a term used for describing how your kidneys work, if you have two healthy kidneys, then you have 100% of your renal function. However you can be healthy with only 50% of your renal function or with only one kidney, if its function remains stable. 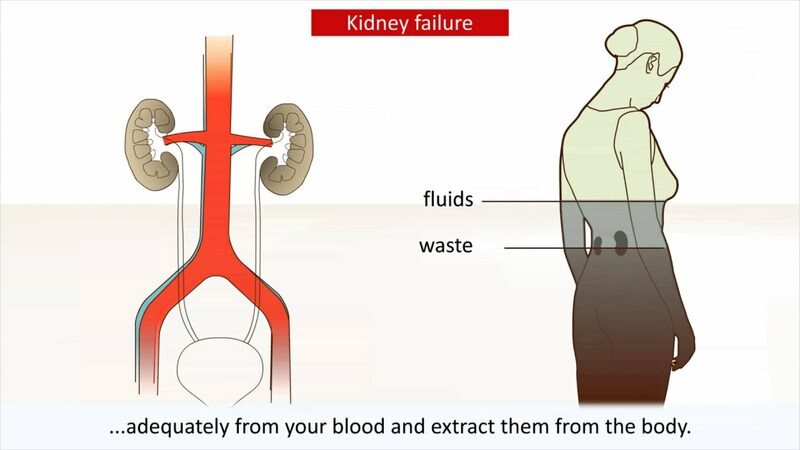 Many people with only 50% renal function have a kidney disease, if this number continues to drop below 20%, life can be threatening without some form of renal replacement therapy. Your Kidneys can become damaged through a number of different ways, some you have control over, whereas other areas we cannot control. While there are a number of physical signs of kidney disease, these symptoms can be related to many other conditions. Those with a kidney disease often don’t attribute symptoms to the condition until in later stages. So how can you be proactive and keep your kidneys healthy? They are pretty important after all, they are essential for cleansing and detoxifying the body! An organic diet will be most beneficial for being proactive with your kidney health. Organic low-glycemic fruits and vegetables are free from harmful and toxic pesticides, herbicides and fungicides which are hard on the kidneys (and liver). Organic foods also cannot be GMO. Focus on using whole, healing foods that are close to their natural state. Avoid packaged foods and only buy things with a small ingredient list (less than 10 ingredients). Damaged kidneys cannot efficiently remove excess water and sodium from the body, which will lead to high blood pressure. Natural diuretics will promote natural urination which can reduce swelling and high blood pressure. Pineapple: High in the enzyme bromelain, which is a protein digesting enzymes. Pineapple helps to fight and reduce inflammation. Turmeric: A bright orange-yellow spice with powerful anti-inflammatory effects, inflammation is a large contributor to developing kidney disease. For people with kidney disease, Potassium can build up to high levels in the blood, which can be dangerous for the heart. Potassium is a mineral found in foods we eat, and it is necessary in the diet for muscle movements and keeping a healthy nervous system. Potassium levels in the blood are controlled by the kidneys. Another mineral, Phosphorus, which aids us in building strong bones and teeth as well as helps convert food into energy. Our kidneys normally release extra phosphorus in the urine, but with a kidney disease, buildup may occur and this can cause problems for the bones and heart. In a “Renal Diet” it is necessary to know the effects of potassium and phosphorus in the body and why they should be limited to prevent further complications. Sodium coming from natural sources such as pink Himalayan rock salt or seaweeds, will be the most beneficial form of sodium, as it will contain other organic minerals necessary for life and optimal bodily functions. Now that you know which foods to watch out for, here are some of the nutrient rich foods you should focus on consuming more of! Red Bell Peppers Low in potassium, but an excellent source of vitamins C, A, B6, folic acid and fibre. Red bell peppers also contain lycopene, a form of antioxidant which can help prevent against certain cancers.Eat raw or enjoy with a dip, include in egg salads, stir-fry’s, and omelettes, roast them, stuff them and add them to smoothies. CauliflowerAnother cruciferous vegetable, high in vitamin C and a great source of folate and fibre. Cauliflower supports the liver by neutralizing toxins that could damage cell membranes and DNA.Serve it raw, add it to salads, make “cauliflower rice”, or steam and add coconut oil and nutritional yeast. GarlicLowers cholesterol and reduces inflammation! Garlic also strengthens the immune system.Always buy fresh organic garlic and enjoy it in a raw form when possible, add it into salad dressings or press it onto warm dishes to maintain all of its healing potential. OnionsA member of the allium family, onions contain natural sulphur which gives it a pungent smell. Rich in flavonoids, especially quercitin which is an antioxidant that works to lower heart disease and protects against many cancers. Onions are low in potassium and a good source of chromium, a mineral that stabilizes blood sugar.Consume raw onions when possible, add to salads, hummus, and cooked dishes for flavour. ApplesAn apple a day does keep the doctor away. Known to reduce cholesterol naturally, prevent constipation and protect against heart disease and cancer.Make an apple a snack, add to oatmeal, cereal or salads. BerriesInclude blueberries, raspberries and strawberries in the diet for kidney health. These berries are lower in sugars in comparison to other fruits. They also contain antioxidants which can prevent cell damage. They contain vitamin C which supports the immune system and they contain fibre.Eat raw, add to salads, add to cereal or oats or add to smoothies. CherriesCherries have been shown to reduce inflammation when eaten daily. They are another fruit that is packed with antioxidants which protects the heart.Eat as a snack, or add to smoothie’s salads and desserts. If buying cherry juice, look for organic tart cherry juice, which will be the best option for reducing inflammation and supporting the kidneys. When you work with Holisticole you will be able to uncover a deeper knowledge and understanding of the appropriate steps that are required for restoring kidney function. This article was republished with permission from holisticole.com. Nicole Eckert is a Holistic Nutritionist and the Owner + Founder of Holisticole. On her holistic living blog: holisticole.com - you can find amazing clean-eating recipes, informative blog posts and online programs.